The Reverend NATHANIEL APPLETON was born at Ipswich, December 9, 1693. His father was the Honourable John Appleton (110); and his mother was the eldest daughter of President Rogers. He was educated at Harvard College, where he graduated in 1712. On the completion of his education, his uncle, an opulent merchant, offered to set him up in trade; but he declined the offer, that he might pursue his theological studies, preparatory to the work of the ministry. Dr. Appleton, if venerable for his age, was more venerable for his piety. His religion, like his whole character, was patriarchal. Born in the last century, and living till nearly the close of this, he brought down with him the habits of “other times.” In his dress, in his manners, in his conversation, in his ministry, he may be classed with the Puritan Ministers, of revered memory, who first came to New-England. His natural temper was cheerful; but his habitual deportment was grave. Early consecrated to God, and having a fixed predilection for the ministry, he was happily formed, by the union of good sense with deep seriousness, of enlightened zeal with consummate prudence, for the pastoral office. He preached the gospel with great plainness of speech, and with primitive simplicity. Less concerned to please, than to instruct and edify, he studiously accommodated his discourses to the meanest capacity. To this end, he frequently borrowed similitudes from familiar, sometimes from vulgar, objects; but his application of them was so pertinent, and his utterance and his air were so solemn, as to suppress levity, and silence criticism. “Dr. Appleton was possessed of the learning of his time. The Scriptures he read in the originals. His exposition, preached in course on the sabbath, comprehended the whole New Testament, the prophecy of Isaiah, and, I believe, Daniel, and some of the minor prophets. It was chiefly designed to promote practical piety; but on the prophetical parts, he discovered a continued attention, extent of reading, and depth of research, which come to the share of but very few. He not only gave the Protestant construction, but that of the Romish expositors, in order to point out the defects of the latter.” (114) He carefully availed himself of special occurrences, whether prosperous or adverse, whether affecting individuals, families, his own Society, or the community at large, to obtain a serious attention to the truths and duties of religion; and his discourses, on such occasions, were peculiarly solemn and impressive. Vigilantly attentive to the state of religion in his pastoral charge, he marked prevailing errors, and sins, and pointed his admonitions and caution against them, both in public and private, with conscientious yet discreet fidelity. The discipline of the church he maintained with parental tenderness, and pastoral authority. The Committee, for inspecting the manners of professing Christians, appointed originally by his desire, and perpetuated for many years by his influence, evinces his care of the honour and interests of the church, of which he was the constituted overseer. So great was the ascendency which he gained over his people, by his direction and moderation, by his condescension and benevolence, by his fidelity and piety, that, while he lived, they regarded his counsels as oracular; and since his death, they mention not his name but with profound regard and veneration. His praise, not confined to his own society, is in all the churches of New-England. In controversial and difficult cases, he was often applied to for advice, at ecclesiastical Councils. Impartial yet pacific, firm yet conciliatory, he was specially qualified for a counsellor; and in that character he materially contributed to the unity, the peace, and order of the churches. With the wisdom of the serpent he happily united the innocence of the dove. In his religious principles, he was, like all his predecessors in the ministry, a Calvinist. Towards persons, however, who were of different principles, he was candid and catholic. “Orthodoxy and Charity” were his motto, (114) and he happily exemplified the union of both, in his ministry, and in his life. His public usefulness, though diminished, for a few of his last years, by the infirmities of age, did not entirely cease but with his life. He died February 9, 1784, in the ninety-first year of his age, and sixty-seventh of his ministry:and New-England can furnish few, if any, instances of more useful talents, and of more exemplary piety, united with a ministry equally long and successful. — against prophane Swearing, 1765. 110 ^ He was one of the King’s Council; and, for more than twenty years, a Judge of Probate for the county of Essex; he was a man of sound judgment, and unimpeached integrity. It was remarked, that, during the long period in which he was in the Probate Office, there was never an appeal from his judgment. 111 ^ He resigned his Fellowship in 1779. 112 ^ President Wadsworth, speaking of Mr. Appleton, says: “I have often though, it is a great favour not only to the Church and Town of Cambridge, but also to the College, and therein to the whole Province, that he is fixed in that public post and station, assigned by Providence to him.” Preface to The Wisdom of God in the Redemption of Man. 113 ^ President Stiles’s Literary Diary. 114 ^ James Winthrop, Esquire. 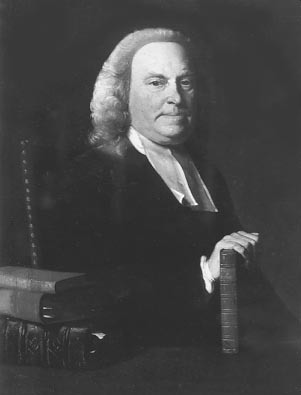 115 ^ His portrait, taken by Copley, represents him holding a volume of Dr. Watts, entitled “Orthodoxy and Charity.” This portrait, which is said to be an excellent likeness, is now in the possession of Mrs. Appleton, relict of the late Nathaniel Appleton, Esquire, who was a very worthy and respectable son of the minister of Cambridge. It was rescued from the fire in Boston, in 1794, in which Dr. Appletons’s MSS. then in the hands of his son, were consumed.